In this film man sized alien cockroaches disguised as humans attempt to take over the earth. The aliens are building a theme park with a giant Godzilla tower that holds a monster museum in it as the main attraction. The aliens plan on destroying monster island, where Godzilla and all of earths monsters are housed. The aliens from the planet Nebula Space Hunter M claim it will bring peace to the world. 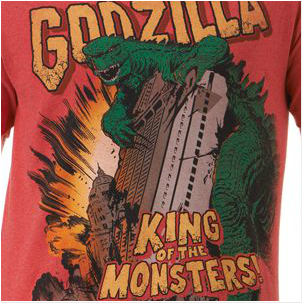 New Godzilla Shirt Available at Kohls! There is a new Godzilla shirt available at Kohls you right now there is a sale where you can get 2 T-shirts for $20 or they are $12.99 each. This shirt looks really cool almost like an old school shirt the way it is colored but with the new 2014 look. This shirt is definitely worth adding to your t-shirt collection. Order it online here. More Godzilla Comics Are Coming! 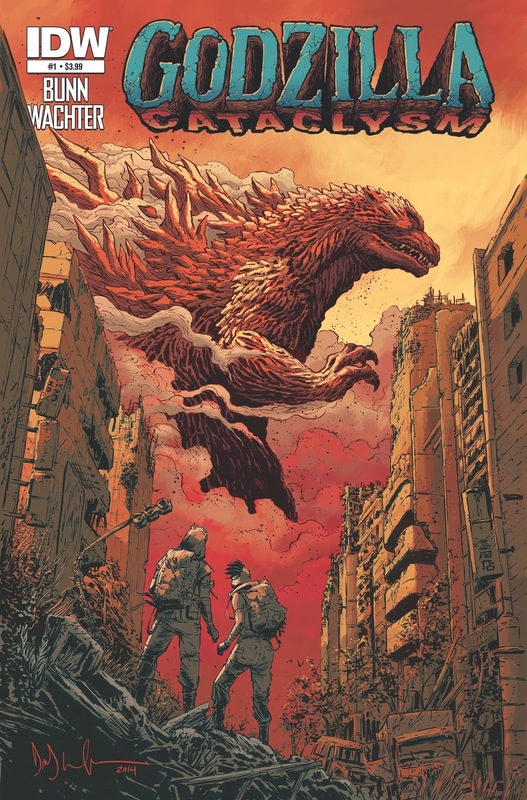 IDW's Godzilla Rulers of Earth will be getting a sixteenth issue in September and the Godzilla Cataclysm mini-series kicks of with its first issue in August. Which means we will be getting four Godzilla comic books across August and September. My favorite thing to find in my mail over the last 12 months has been my monthly Godzilla Rulers of Earth issue. Rulers of Earth has been one of those series that you have to wait for every month and hope that the last issue they announced was not the last. Rulers of Earth is so far my favorite Godzilla comic series, I love the art work from Matt Frank ,and I think the story would make for a great series of movies if Toho ever decided to do their own run at a Godzilla film series again (which I hope they do). 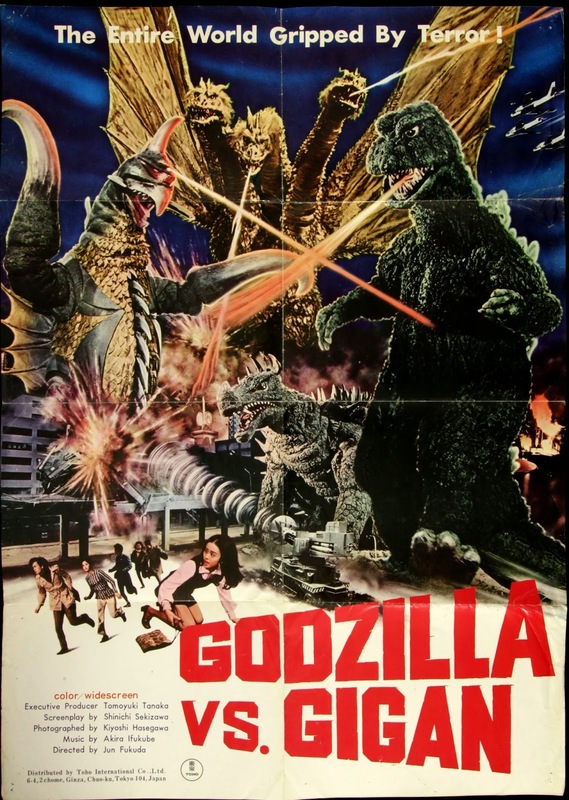 Now with the five part Godzilla Cataclysm series being announced and the big success of Legendary's 2014 movie I feel that Rulers of Earth will continue on for awhile. IDW has done a great job with all of it's Godzilla comic series and I highly recommend checking out these comics if you are a Godzilla fan. So go down to your local comic book shop and request these comics or go to my favorite comic book site tfaw.com to pre-order. I have now added a movie review section to the site. If you check the navigation bar at the top of the page you will see a tab that says movie reviews. I pretty much listed all of the Monster movies that are in my collection and that I plan on reviewing. I am sure that there are a few movies missing from the list but they will make it there over time. As I review the movies they will become available on the page. I also plan on doing a section with all monster bios soon. Thanks for reading and look out for new articles. 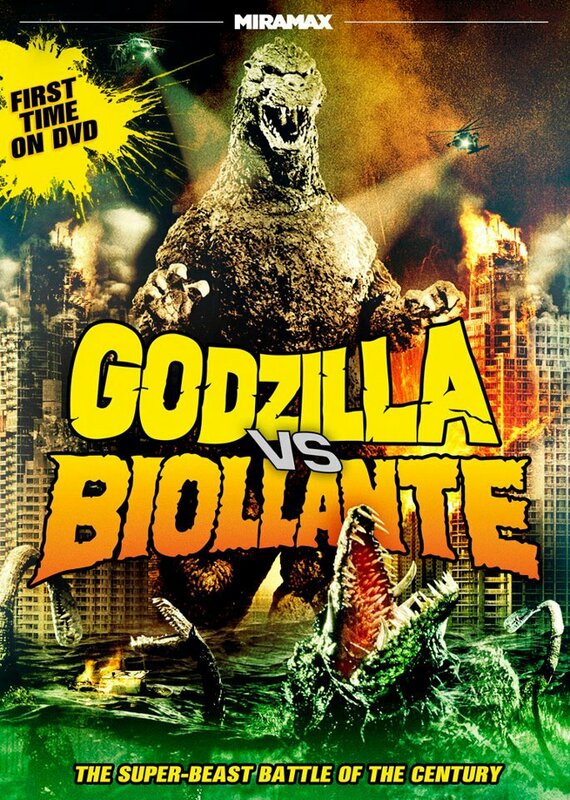 Godzilla vs Biollante DVDs and Blu-rays are Now Out of Print! Update: I just recieved a cancellation emaim from Deepdiscount.com they said Godzilla vs Biollante is now out of stock. 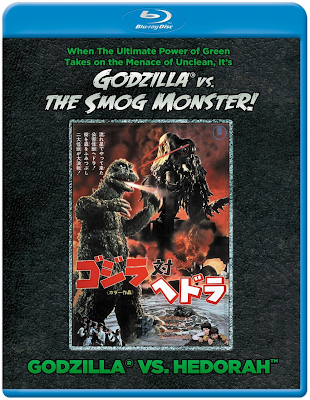 So if you are new to Godzilla and have been trying to build up a collection you may have noticed on eBay, and Amazon that Godzilla vs Biollante has now joined the club of over priced Godzilla movies especially the Blu-ray version. I have seen the Blu-ray listed for over $80 and DVD is going for about $25. The $25 for the DVD is not horrible but it is not great considering, up until the annoucement that they were going to stop printing this movie, it was the easiest/cheapest blu-ray and dvd you could find. When they were still printing this movie you could get the DVD in your $5 and under section at target or Wal-Mart and the blu-ray you could even grab for under $10 in some stores but that is no longer the case now we have highly inflated prices online. So hurry out to your local Targets, Wal-Marts, and what ever retailers you buy your DVDs from to try and find some leftovers before they are gone. I tried to go to the Target near work today but they did not have anymore copies, but they did have a tag on the shelf for it. Online it has been removed from most big name retailers or listed as unavailable. But I have some good news, if you hurry you can still grab a DVD copy from deepdiscount.com for only $4.99 with $2 shipping. With all the blu-ray releases over the last few months I have been watching through my collection all over again. I was so happy that many Godzilla and other kaiju films finally made it to blu-ray. The Godzilla vs Hedorah blu-ray had very nice improvements on the picture quality. I am not a snob when it comes to the video quality of Godzilla movies, because pretty much all of the movies from this genre are more than 20 years old, except for the millennium series of course. There were a few spots where I noticed that they could have sharpened the picture a little bit more but overall I would say the improvements were great. I highly recommend this movie if you are looking to add blu-rays to your movie collection and would like a sharpened image quality. Be sure to check out my full review here of the actual movie itself. 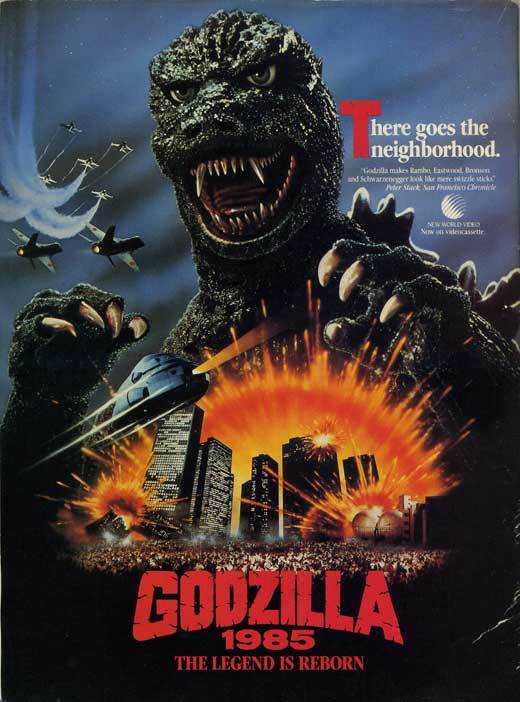 Where to get a DVD copy of Godzilla 1985 / Godzilla Returns. Hello everyone! The new 2014 film has drawn so many new Godzilla fans, I figured now would be a good time to help out some of them who are trying to start a Godzilla DVD collection by helping you all find a copy of Godzilla 1985/ Godzilla Returns.